As digital press kits are becoming the new norm in PR, the possibilities for design and customization are endless. Consider sprucing up your clients’ kits with these three design tweaks from PR Couture. Creating a fully-branded experience within a press kit not only makes the kit look great, but immerses the reader in the full brand narrative. 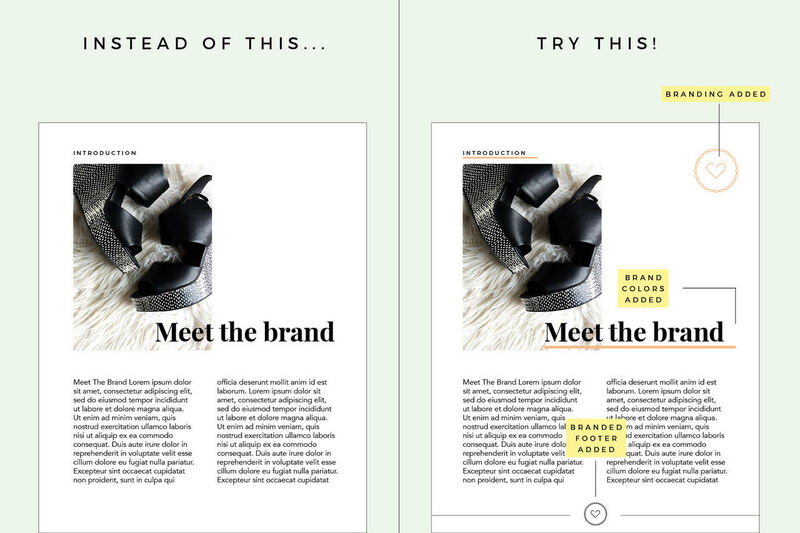 The next time you open a client’s press kit for updates, ask yourself, “If the reader happened upon a random page of the kit, would they still be able to identify who the brand it?” If your answer is even close to a no, it’s time for a refresh! Add small touches of branding to each page. Including brand logo marks, contact information and social hashtags/links into a stylized page footer is a standard design tweak that will always keep your client’s brand top of mind. Metrics are important to share in press kits, but reading row after row of hard date can become mind-numbingly dull and easy for an editor to gloss over. Combat this by important client wins by presenting important sales, revenue and product metrics within well-designed infographics rather than a longer stream of analog data. Not up for building out a custom infographic in Illustrator or Photoshop? Free online resources like Piktochart and Venngage are perfect for creating infographics that will surely grab an editor’s attention. When designing the infographic, be sure to keep your client’s brand colors and typography in mind, as these elements should effortlessly translate off the page into eye-catching, data-driven designs. Now that press kits have gone fully digital, embedding links and interactive content within PDFs is a beautiful reality. Consider creating a fully branded experience that solves the immediate what, what, where of press kit 101 but that also showcases brand assets in exciting ways. A few ideas include consumer/customer survey results, bold mission statements and CEO quotes, and include social media content, like top-performing Instagram posts.